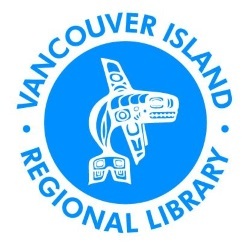 The news was announced at the VIRL Board of Trustees regular meeting held on May 28th in Nanaimo by VIRL’s Executive Director, Rosemary Bonanno. The Tahsis library, which is a branch of Vancouver Island Regional Library’s cooperative, 39-branch system, will be relocated and refurbished to the nearby Captain Meares Elementary Secondary School. The plan supports VIRL’s strategic objectives to provide welcoming community spaces while optimizing public resources, responsibly manage costs and strengthen the community through collaborative partnerships. The announcement follows the results of a report that investigated the costs to renovate the existing branch library, located at 977 South Maquinna Drive. Based on available options, it was determined that the current branch, which is shared with the Village of Tahsis Municipal Hall, would be more costly to renovate than the alternative option which would see the library at the nearby K-12 school. In consultation with the Village of Tahsis and School District 84, the Captain Meares Elementary Secondary School was found to meet both load and facility requirements of the library while also potentially serving the school and community further. Investing in the library at the school invests in the school and the community, supporting the children and senior’s group that currently enjoy the space. The new library branch, located in the vacant west-wing of the school, will be approximately 1,500 square feet – making it almost double the size of the existing branch. With the needed renovation also comes a refreshed and tailored collection for the community, newer technology and equipment including public computers, continued free WiFi, and enhanced access for those with disabilities. registered card-holder. The library card in the Village of Tahsis is valued at approximately $1,636 in 2015, based on the unique items borrowed. Construction of the new library is expected to commence in the Fall of 2016 with a completion date in 2017. The VIRL budget accounts for the cost of renovations and improvements to all of the branch libraries in its system as a part of a 10-year Facility Master Plan. In this way, no additional costs are required to be paid by the community (in essence, the community is already paying into the maintenance and refurbishment costs of their libraries). As a regional library system, the cost of VIRL’s libraries are shared by all community members within the regional service area – making the total increased cost in library services for all community members year after year equivalent to the cost of a cup of coffee. More information will follow as a construction timeline is developed. Visit virl.bc.ca for the latest updates and news about upcoming projects and events!